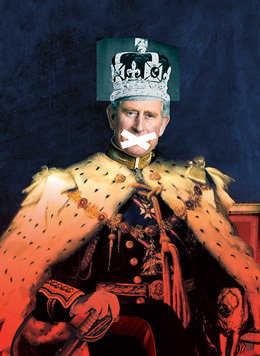 So, tonight saw the airing of the BBC’s adaptation of 2014’s critically acclaimed stage play, King Charles III. It was one of my theatre highlights of that year (you’ll find my original review here) and I was thrilled to hear that such a daring and though-provoking drama was to be brought to the screen, particularly with most of the original main cast. Now it has aired and after reading such diverse comments about the programme on Twitter, it seemed only right to review this new version and compare it to my experience of Mike Bartlett’s original material. On seeing it for the first time in the theatre, I imagine I had the same thoughts many tuning in to BBC Two had; starting off with unease and discomfort at what I was watching. These are after all, some of the most familiar people in our lives in Britain. However, the cleverness of the style, structured as if a History play by Shakespeare, in verse, means that although real people, the drama is a step removed from reality, allowing the audience to be absorbed by the characters in front of them, rather than focussing on who they were based on. Many are also saying that it is disrespectful, but I disagree. I support the Royal Family by and large (especially the Queen and the younger members) and yet I loved this play and equally enjoyed the screen version. It isn’t autobiographical – after all it’s set in the future! Like any good drama, it causes its audience to discuss and debate its content. It requires you to focus and engage with the questions it raises. None of us know what will happen when the Queen passes away and the crown moves to Charles and yes, this is a heightened reality, which I doubt would ever come to pass. However, as a drama, it asks some intriguing questions – Would Charles, who we know has given his political views in the past, resist giving his assent to a law he personally disagreed with? If he did, what would William do? Would he say nothing, or would he in fact do what was necessary in order to preserve the future of the Monarchy if it was put at risk by his father’s actions? Should we even still have a Monarchy, or does the stability of the Monarch actually hold Britain together? Ultimately these are simply people, just like the rest of us and King Charles III treats them as such, as people with flaws, weaknesses, ambitions and desires. Yes, there are aspects I remain uncomfortable with (in particular, putting words in to the mouths of William and Harry about their mother), but I cannot take offence at something that isn’t claiming to be anything but fiction. In fact, I find myself thinking about the actual Royal Family and their lives in a whole new light. As for the transition from stage to screen, overall, Mike Bartlett has done a great job in adapting his play for television. There have of course been cuts, mainly to long soliloquies to save time and certain scenes have changed locations (Jess no longer comes to the Palace after her first night on the town with Harry, which I actually think makes much more sense), but on the whole the text and the spirit of the play remains the same, something that I was a little worried may not translate from the stage. 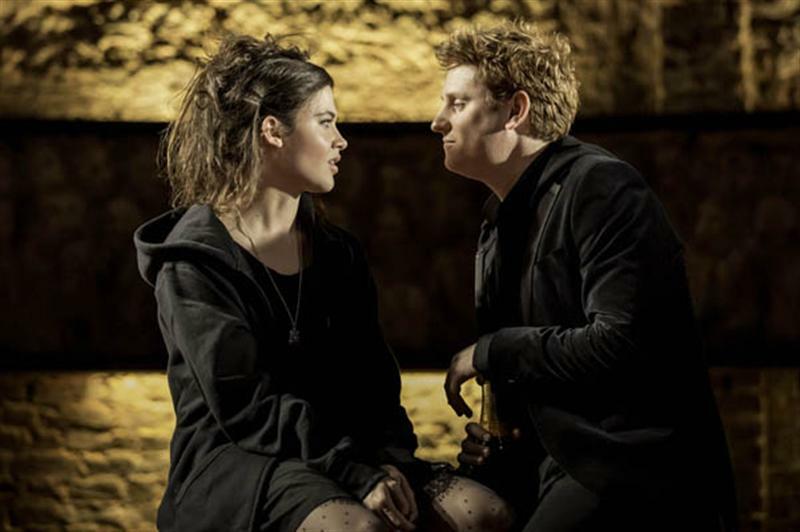 Director Rupert Goold (who also directed the play) is perfectly placed to ensure the Shakespearian tone of the piece remains – dramatic in places, mildly comedic in others. I also loved the moments in which characters spoke to camera, preserving the sense of theatre (which is becoming more common on television, with dramas such as House of Cards) and the use of the original music from the play, particularly the haunting Latin singing during the Coronation (which in the theatre gave me goosebumps). Although, I did prefer the stage play due to my love of theatre and the powerful atmosphere the play brought to the stage, there are elements that, in my opinion, work better, or are improved by this adaptation. The biggest example is the ghostly presence of Diana. I never enjoyed this on stage, finding it rather cheesy and uncomfortable (even though I understood that a Shakespearean History play needs a ghost to steer the fates of the characters). Rather than a woman walking across a stage, here through the use of lighting and echoing voices, these moments actually work much better. Also, the inclusion of scenes showing the rest of the family’s reactions to Charles’ dissolution of Parliament were also welcome television additions, raising the stakes of the unfolding drama. The acting remains strong in this 90 minute drama, with the key players from the stage stepping back in to their roles (Charles, William, Harry, Camilla and the Prime Minister all the same). I’ve seen a fair amount of comments on social media criticising the acting, but, in my opinion, to think that is to miss the complexity of this piece. This is after all a fictional story, depicting a family we all know incredibly well. Therefore the actors had to find a balance between conveying a realistic portrayal of those we know, but without becoming caricatures of them. This isn’t after all Spitting Image, which would indeed have been cheesy! Central to this is the incredible performance by Tim Pigott-Smith, whose recent death makes watching this even more poignant. He brings to the screen a man whose whole life has been geared towards this one job and on finally getting it, he faces choices which affect the stability of the whole country. It’s interesting that the law he opposes is one restricting freedom of the press, which may be seen by some as admirable. Yet, the monarch’s role is not to stop laws, but to give their ceremonial assent and it is this decision, followed by his dissolution of a Parliament that he feels opposes him, that results in civil unrest. Over the course of the story, you move from admiration, to frustration and then to deep sympathy for Charles and this is thanks to the rich depth of Pigott-Smith’s performance. The last few scenes are heartbreaking and remind me how much he will be missed. My favourite role on stage was that of Kate and she is just as strong here (with Charlotte Riley replacing Lydia Wilson). Kate is strong and an equal partner to her husband and her soliloquy to camera captures that strength of resolve. I’m not sure I agree with the Lady Macbeth comparisons, but every Shakespearean History needs an expert manipulator! Oliver Chris also does a fantastic job at playing a conflicted William. He loves his father and yet, ultimately has no choice but to effectively betray him, in order to restore stability. I’ve never seen them as evil as many are saying tonight, as although cruel to Charles, their actions seem necessary to preserve the monarchy that the current Queen has worked decades to protect above all else. This drama now includes their two children and by having William hug his son, as he is faced with the such a hard choice, added an extra layer of emotion to the story. Crucially, the final confrontation between William and Charles was just as powerful to watch on screen, which is all due to the work of the actors. Adam James (a favourite of mine for years), is back as the Prime Minister, placed in an impossible situation and privy to the later emotional scenes. His interactions with Pigott-Smith and Oliver Chris remain very believable. Margot Leicester provides strong support as Camilla, while Richard Goulding returns to the role of Harry. His was a difficult role on stage, as Harry’s plot line acts as the less weighty aspect of the drama and because of that, comes across as weaker and a bit farfetched. However, the more you think about it, the more sad it is, to see someone adrift and ultimately forced to give up what may have made him happy. It’s a performance that I think you have greater appreciation for the more you watch it. The newcomers to the main cast, Tamara Lawrence as Jess and Priyanga Burford as the Opposition leader were also very good too and I particularly liked the gender switch, meaning the Conservative leader here was also a woman! Clearly, this drama won’t have appealed to everyone and will have its critics, which is fine by me, provided all those criticising it have actually watched it. It’s also true that theatre will never have the same impact on screen as it does live. However, I applaud the decision of Mike Bartlett, Rupert Goold and the BBC to be bold enough to take such a daring piece of theatre and make it available to a wider audience, while ensuring that those of us who loved the play get to see it again in a new form, for which personally, I’m extremely grateful! King Charles III is now available in the UK on BBC iPlayer. It will also air in the USA on Sunday 14th May on Masterpiece on PBS. The text of the play is available from Nick Hern Books here. 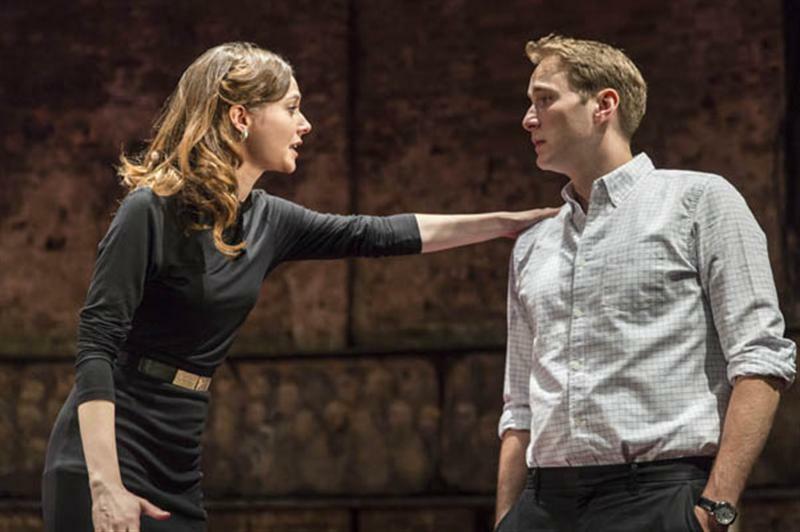 Rupert Goold kicked off his tenure as Artisitic Director of the Almeida with a bang with American Psycho and his next production King Charles III, which has its press night this Thursday, had me equally intrigued and excited when it was announced. Not only was it an interesting concept, directed by Goold but it was to be written by one of my favourite playwrights Mike Bartlett, whose work always gives me food for thought and plenty to discuss long after I have left the theatre and this is no exception. Billed as a future history play, it chronicles our country’s potential future once the Queen is no longer here and the crown passes to Prince Charles. Already a subject which is ripe with possibilities and opinions on those possibilities (Should Camilla be Queen? Should Charles step aside for William and Kate?) and at a time when Australia and New Zealand are welcoming the Duke and Duchess of Cambridge on their Royal tour, this production couldn’t be more perfectly timed. Beginning in the immediate wake of the Queen’s death, Prince Charles is finally King after decades waiting in the wings and he wants to be remembered as more than a Spitting Image puppet. In reality we are very much aware that Prince Charles has been known to involve himself in politics and Bartlett builds on this from the outset. A new Bill has been passed on privacy and control of the press – it simply requires Royal Assent. However when the Prime Minister arrives for his first weekly audience it becomes clear that obtaining this ceremonial seal of approval may not be quite as easy as he thought it would be. What follows is an interesting glance in to one possible future for a country less certain of its identity after the loss of the only ruler most of its citizens have ever known. It is a bit of a slow burner as the scene is set and the audience adjusts to seeing the Royal Family on stage (some of the similarities in looks alone is a little surreal!). However as the story progressed I became absorbed by it, wondering what direction Bartlett has chosen to take in this alternate United Kingdom. The brilliance here is also his chosen writing style for the play – it is structured in the style of a Shakespearian History play! There is a mix of modern and more Jacobean prose and also verse. It may sound off putting to some but it works superbly, adding an extra dimension to the production. This could have been just a comical look at the Royals, but it feels oddly authentic by being structured in a style through which the stories of so many other famous monarchs have been told. For me the second half was much stronger, building the drama and culminating in some superbly powerful scenes and its final moments (complete with glorious Latin singing) gave me goosebumps. There are some excellent performances too, especially Tim Pigott-Smith who plays Charles as a man daunted by the role he now has to play. As he himself says, everyone expected him to already have fully formed opinions ready to go, but instead he is uncertain and fearful of simply being a ceremonial relic. There were moments I felt sympathy for him and others where he led me to incredible frustration at his inability to see the damage his actions were causing around him. Adam James (a regular in Bartlett’s work) is another strong member of the cast, as the Prime Minister struggling to know how to walk the fine line between respecting his King and standing up for the democratic system of government on which our political system is based. I found his scenes with Pigott-Smith to be some of the most dramatic of the play, particularly when he reminds Charles about how the Queen carried out what was expected of her. The other strong performance for me was that of Lydia Wilson as Kate. She makes it clear to the audience in her soliloquy-style speech that she does not intend to play merely a supporting role to William, but will stand as an equal partner in both marriage and as Queen whenever the time comes. Oliver Chris’s William begins quietly but steadily grows in strength and character and over the course of the previews so far Oliver has grown in confidence in the role. His scenes with his father in the second half are brilliantly acted by them both and you could have heard a pin drop in the audience. Richard Goulding has already come a long way as Harry. Last week he seemed far too much of a characterure and although this is still a little true, he is already brining far more depth to the role. His subplot carries the humour of the play, as we see him questioning his future and a scene in which he receives sage advice in a kebab shop was a favourite of mine. Tafline Steen is good as Jess, the normal girl with a unique opportunity to observe this famous family’s internal dynamic, Nicholas Rowe skilfully portrays the opposition leader, stirring the pot all the time in the background and I liked Nick Sampson’s portrayal of the weary press secretary. There is little set but this is absolutely the right choice and I was reminded just how small a performance space the Almeida is when the brickwork drum of the walls are exposed. A simple faded painting lines the central part of the back wall, which when subtly lit gave a sense of the watchful public and mood lighting and sound set the tones of the various moments very well. I also loved the singing, particularly for the wonderfully powerful final moments. My only slight grumble is the brief appearances of a certain ghost. I understand the reason behind its inclusion – this is after all a Shakespearian-style History play and where would one of those be without a ghostly encounter, but it did make me cringe and caused awkward laughter amongst some of the audience both times I’ve seen it. Overall I think this is a fantastic new play. It is already so much stronger than after its second preview and I’m sure it will continue to develop. 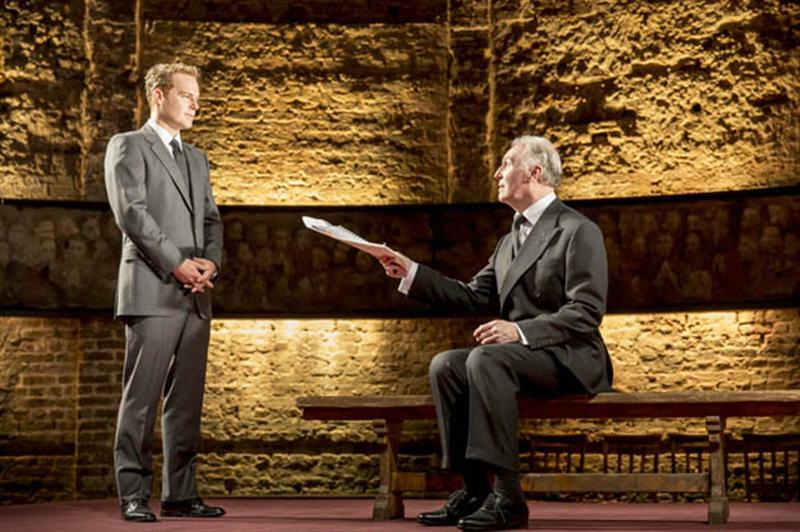 King Charles III is not going to appeal to everyone, but it is different and daring as it makes us consider the future of our country as we may not have done before. If Rupert Goold’s seasons continue to be this varied and exciting, I imagine I’ll be visiting the Almeida quite a lot over the coming years!